After collaborating with major bass music producers such as Zeds Dead, Ghastly, Boombox Cartel, Slander and many others, NGHTMRE continues his streak of epic releases by collaborating with popular bass trio Wavedash. 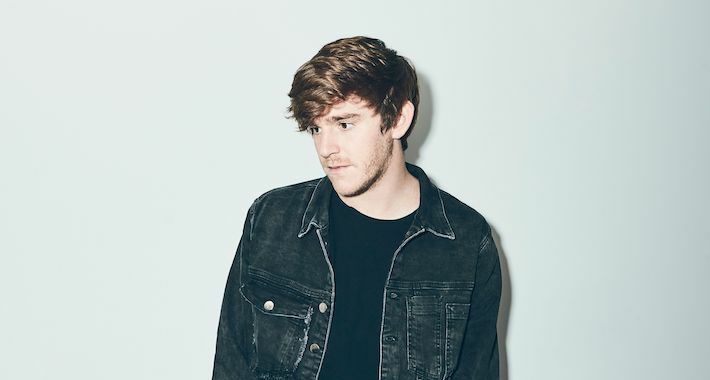 NGHTMRE and Wavedash’s new monstrous bass-driven track, “Grave,” is built from stabbing percussion, lacerating synths and a menacing underlying baseline. Beginning with a dramatic build, the song suddenly heats up into a heavy drop accompanied by a vocal. This track, which is released on Diplo’s Mad Decent label, is the song to play to unleash pent-up anger or to get the party started, and don’t be surprised to hear this banger in their upcoming sets. This new release follows a burst summer full of new music for NGHTMRE, which included his Magic Hour EP with Pell on Diplo’s Mad Decent label and his remixes of Flosstradamus’ “MVP” and Ekali & Zhu’s “Blame.” With his earth-shattering productions and equally electrifying live sets, NGHTMRE has taken the spot as one of threading bass producers in the scene. His tracks like “Another Dimension” with Dillon Francis and “Only Want U” with Snails are staples in the festival circuit, receiving support all over the world. Following his release with Slander on “Gud Vibrations,” he toured around with the duo during their Gud Vibrations multi-event series, including this year’s old out boat party during Miami Music Week and their own festival in SoCal. Wavedash’s new collaborative EP with Quest, Devil Music, was also recently released via Mad Zoo. The trio initially gained attention via OWSLA comp stand out, “Bang,” which lead to heavy support from Skrillex, Kill The Noise, and more, which led to popular collaborations with artists like Slander on “Move Back.” The Texas-based trio have quickly amassed a following within electronic music thanks in large part to a meticulous attention to detail in their dynamic, youthful, and often turbulent productions. Out now so stream/download here.